Novia University of Applied Sciences arranged the final seminar of the Meri-Erko project in the end of November. The seminar was held in Auriga Business Center in Turku and it was hosted by Pihla Lehto, Project Expert at Novia University of Applied Sciences, Aboa Mare. There were about 30 participants from various organizations, such as Universities, Universities of Applied Sciences, Maritime Industry Companies and Employment and Economic Development Offices. Eija Velin from the Centre for Maritime Studies, Brahea Centre, the coordinator of the Meri-Erko project, summarized the project so far and presented the continuation plans for the next two years. Professor Pentti Kujala from Aalto University described in his presentation how their education programs are built, what are the benefits of their programs and what kind of challenges they are facing in today’s changing world. After the coffee break there were three short presentations aiming to figure out how the future will look like in general and from the maritime education point of view. Education manager Leena Jokinen from the Finland Futures Research Centre (University of Turku), talked about the prospects of the shipping cluster and more specifically, how the digitalization and automation will have influence on required know-how in the maritime field. 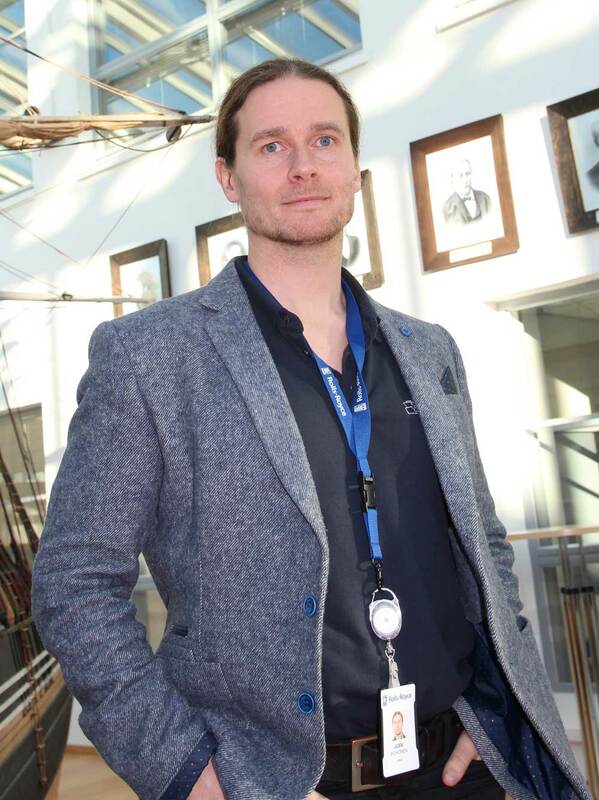 Wärtsilä’s Training Operation Service Manager Timo Aalto presented their vision of Smart Marine Ecosystem. It aims to connect the whole marine supply chain to achieve highest safety, to cause least impact to climate and to use the resources efficiently. Markku Karkama, Chief Inspector from Finnish Transport Safety Agency (Trafi), informed the audience about their plans to launch a research project to study digitalization and automation in the maritime field to strengthen their knowledge and capability to guide the maritime field. According to the audience, the seminar was interesting overall. The Meri-Erko project started a lecture series for personnel at Aboa Mare and other project partners on 10 October 2018. 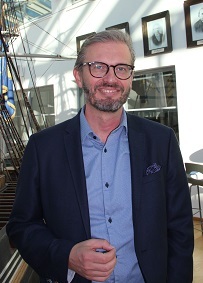 The first lecture was about the digital disruption that affects all businesses and it was given by Director Thomas Westerholm from the Laboratory of Business Disruption Research at Turku School of Economics. Thomas presented the laboratory´s work and visions and discussed future technologies, competencies and organizations. The kind of changes digitalization will bring to education were also discussed. For example, the future accountants also need to study IT to keep up with the digital changes in their work. According to Thomas it would be very important for students from different fields to mix and have joint projects to learn from each other’s fields. This would benefit the students and companies by feeding future innovations. The lecture raised enthusiastic discussion among the audience. The second lecture in the Meri-Erko Lecture Series was held on 24 October 2018. Dr Jussi Poikonen from Rolls-Royce gave a lecture regarding sensor data within the maritime field. Sensor data enhances situational awareness, safety and operational efficiency. INS+GPS, radars, cameras, LIDAR and microphone arrays are all sensor signal processing systems that are used in vessels. It was very interesting for the audience to experience how a sensor data system recognized other vessels at sea and for example, navigation marks. It was also interesting for the audience to learn that camera-based object detection using machine-learning models requires many training examples of the objects to be detected, as the algorithms learn to recognize previously seen objects such as various types of vessels. 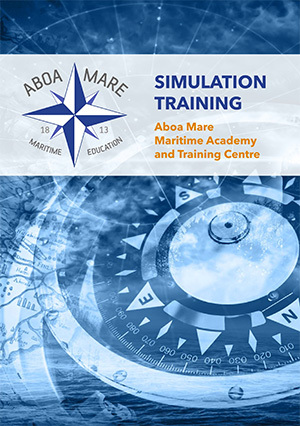 The lecture gave the audience a glance at how technology is transforming the maritime industry. Sensor data systems are part of Rolls-Royce commercial portfolio. The theme of the third lecture in the Meri-Erko Lecture Series was Applied Mathematics. 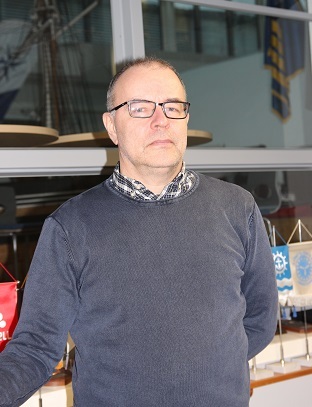 The lecture was held on 5 November by Professor Marko Mäkelä from University of Turku, Department of Mathematics and Statistics. Marko presented differences between applied mathematicians and engineers. Applied mathematics in the University of Turku is divided into mathematical modeling and financial- and insurance mathematics. Marko’s specialty is optimization, which sorts under modeling. Optimization is used widely to accomplish economic and ecological savings in many different fields. Sometimes the goal of optimization is to improve the service level for customers, as was the case with The Hospital District of Southwest Finland, when they wanted to plan the locations of the ambulances’ bases. Other business case examples were i.e. optimization of container ship fleet routing, route optimization of straddle carriers in ports and optimization of the disposal of nuclear power plant waste. Marko’s lecture was interesting and eye opening, and it gave us a good understanding of the use of Applied Mathematics. 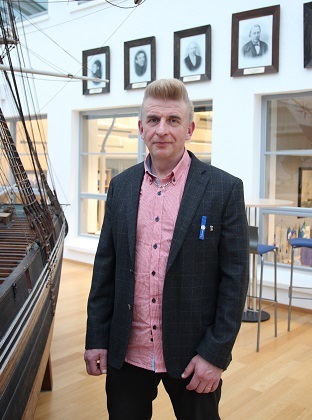 Professor Johan Lilius from Åbo Akademi University held the last lecture in the Meri-Erko Lecture Series on 13 November 2018. Professor Lilius gave a lecture about Artificial Intelligence and covered machine learning, planning and NLP and the application of AI in future autonomous ships. Professor Lilius started the lecture by pointing out that he thinks that the word Artificial Intelligence is the wrong word. It might be artificial, but he pointed that is definitely not intelligent. AI is very hyped. He stated that people are developing clever machines but for example autonomous systems will have some restrictions. There is two different fields of AI, old school and new school. New school is all about machine learning. Professor Lilius presented the different levels of autonomy and discussed the safety issues. For example, how is risk management done? Who is responsible if an accident occurs? How can we validate if the implementations in a system are correct or not? The question of accountability must be sorted out. Professor Lilius stated that the safety of autonomous systems are still an issue that must be solved, before we can have autonomous vessels at sea. The lecture gave the audience a realistic view of the state of development of AI and made the audience to think about the different environments where AI can be used and how much needs to be done before autonomous vessels are part of everyday life.